Herbal remedies have been used for thousands of years to help with a wide variety of ailments, including low energy. If you’re tired all the time and can’t seem to find a solution, perhaps an herbal remedy will help boost your energy level. If you want to try herbal remedies, be sure to use products from a reputable source. It is also a good idea to talk to your healthcare provider before trying any of these remedies and stop taking them if you notice any side effects. If you like hot spices on your food, season your dishes with cayenne pepper and you just might see your energy level improve. Cayenne is a member of the pepper family. It is a good source of antioxidants as well as B vitamins, calcium and potassium. Cayenne is thought to help improve circulation and, as a result, help oxygen travel through the bloodstream more effectively. This results is more energy. Cayenne is also said to help boost metabolism and it is thought to act as a catalyst that can increase the effectiveness of other herbs when it is added to an herbal formula. If you search for herbs to boost energy, you will undoubtedly come across ginseng. This is an herb similar to ginger that is often used to relieve stress. It is also believed to strengthen the immune system, freeing your body to use its energy for daily activities rather than to fight illness. In Asia, ginseng is often used as a general tonic to strengthen the body. It is said to help prevent illness and it is even reported to have a positive effect on the treatment of low libido. Ginseng comes in ground form which can be taken in a capsule or used to make a tea. It is very important to follow the directions on the product label when taking ginseng to boost energy. Too much of this herb can have a counterproductive effect by causing insomnia. If you have any kind of medical condition, including low or high blood pressure, be sure to consult with your doctor before taking ginseng. Another well-known herb that can help boost energy is ginkgo biloba. It’s most common use is to help people with memory by increasing the flow of blood to the brain, but the increase in blood flow can also help to boost energy and mood. Ginkgo Biloba has antioxidant properties than can help the immune system function better, which may also result in more energy. The leaf of the Ginkgo Biloba plant is usually dried and crushed into a power to use in capsule form. Don’t use this herb if you are on blood thinners or are taking aspirin to thin your blood because this herb has blood-thinning properties of its own. Licorice has long been known for its effect on the adrenal glands, the glands that secrete hormones when you are under stress. Licorice stimulates the adrenals to produce more adrenaline, which will give you more energy. In Chinese medicine, licorice is often recommended to combat chronic fatigue. Licorice is available in many forms, including powders, pills, capsules and teas. Use caution when taking licorice and do not use it for long periods of time. If you are in doubt about how to use this herb, consult a health care provider who is knowledgeable about nutrition and herbal remedies. Green tea boosts energy in a few ways. First, it contains caffeine, but not as much as you would get from a cup of coffee, so it will boost your energy without the crash of a highly caffeinated drink. In addition, green tea is rich in antioxidants that can help boost the immune system. The best and easiest way to use green tea is to make a cup of tea. If you want the best tea, try organic loose-leaf tea. Green tea bags and green iced tea products are also widely available. Astragalus or astragalus root is an herb that is used in traditional Chinese medicine to boost the immune system and enhance the body’s energy. The herb is said to enhance strength and regulate metabolism. Astragalus is available in powered form or as a tincture or tea. Consult with a medical professional before using astragalus if you are taking antiviral medications because the herb can increase the effects of such drugs. Astragalus should also not be used by people who are taking an immunosuppressant or those who are on blood thinners because astragulus can also thin the blood. 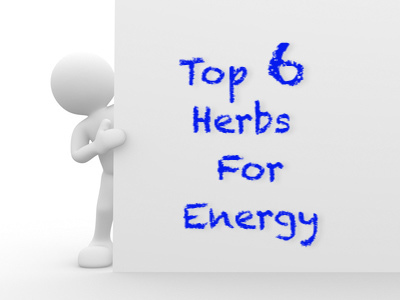 In addition to herbal remedies, there are many other ways to increase energy. Diet, exercise and other lifestyle factors affect the amount of energy you feel each day. Many more ideas on how to increase your energy can be found in the “End Tiredness Program” ebook. Previous post: Are You Tired Or Are You Depressed?